Some products are so unwieldy that they are not easy to install or package for shipping. For hard-to-handle objects, machines with flexible devices are needed that securely wrap them as firmly positioned cargo, for example with foil. This particular function is fulfilled by stretch wrappers. The world's first packaging machine of its kind was presented in 1972 by Lantech Inc. of Louisville, Kentucky. To this day, Lantech is a major global manufacturer of stretch wrappers and a specialist in case erectors. An essential factor for success is the modular design of the machines. The division into separate functional units speeds up assembly and improves its adaptability to individual customer requirements. According to Lantech, the installation time is 50 percent less than similar systems on the market. 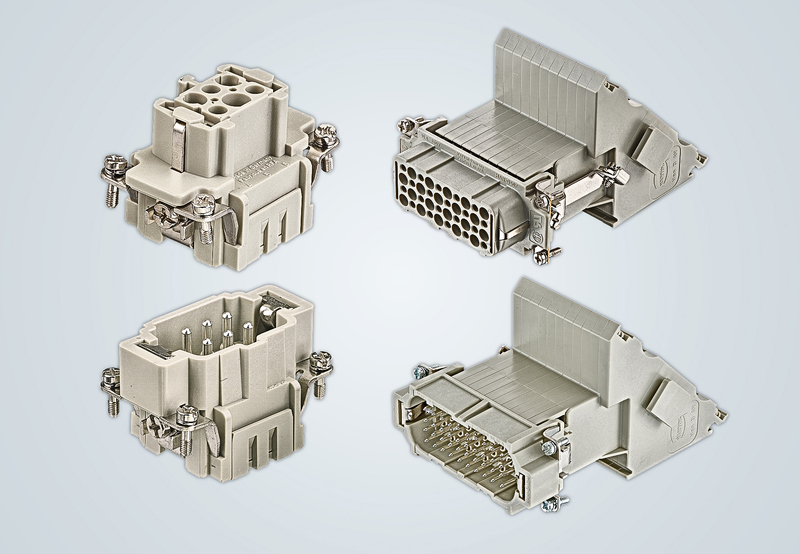 Connectors make the modular system easier to set up. A whole range of Han® products are used on the Lantech stretch wrapper. 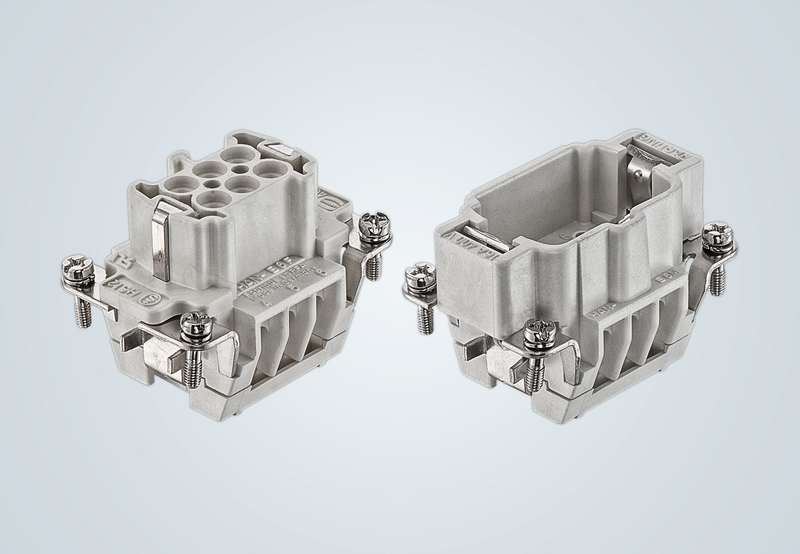 These include Han E®, Han E® AV and Han A® connectors. They create the necessary connections between the control cabinet, control panel and external peripherals. The HARTING products also helps service personnel and the end user to replace components more easily. 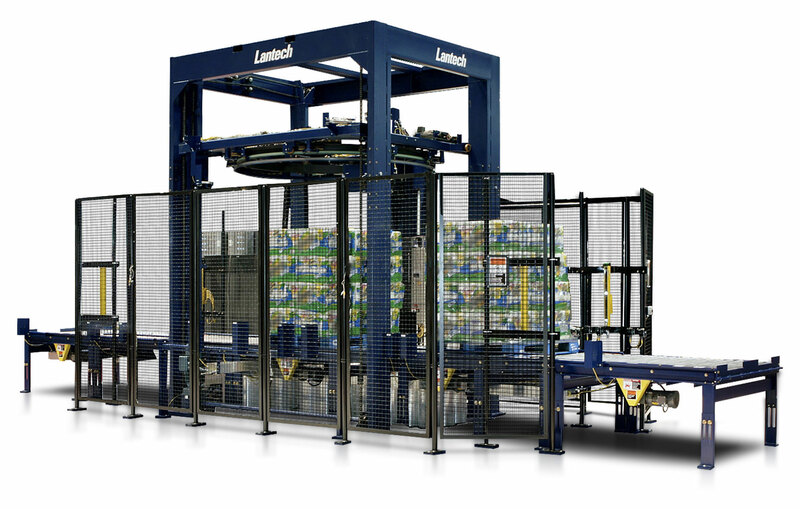 The range of Lantech stretch wrappers is divided into semi-automatic and fully automatic machines. Turntable and rotary arm winders are available as semi-automatic and fully automatic machines; ring winders are only fully automatic machines. Each of the models has been optimised for operational safety, availability, ease of use and packaging performance. More than 40,000 Lantech machines are now in use worldwide. The fully automatic stretch wrappers of the SL-Series™ have a throughput capacity of up to 110 units per hour.